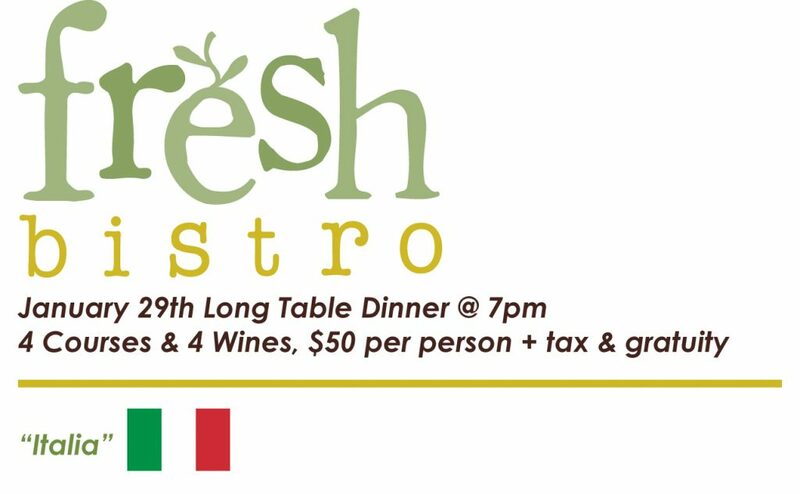 Celebrate the deliciousness that Italy has to offer by going to Fresh Bistro’s Long Table Dinner, “Italia.” on January 29th, at 7pm. Enjoy a 4 course dinner with wine pairings for only $50. The Veal Osso Buco should be enough to convince you that it’s going to be a delicious dinner to remember. So bring a date, a friend or just yourself, it’s going to be a fun night as you sit with other people at the long table to enjoy a great Italian dinner. Fresh Bistro is located in the West Seattle Junction at 4725 42nd Avenue SW.